At the onset of childbirth, what's in a name? CALL ME BABY For $395, you too can not saddle your offspring with a childhood of schoolyard taunts. So we each kept our own flawed names, not thinking much about it. Until, that is, the day we saw those two lines on a stick. When it comes to passing on one or both of our surnames to our coming offspring, we agree on one thing: we'd rather not. Sure, we are motivated by a shared family name we both like, but we also want to spare our child the teasing we both endured. For those Grahams and Smiths and Millers out there, those who've never been snickered at during roll call, you might not understand. But when it comes to our precious baby, we are prepared to be exacting. Even shallow. And why not? According to Evonne Lack on BabyCenter.com, there are scores of pitfalls to keep in mind when naming your baby. Some are rather obvious: steer clear of embarrassing initials (Zachary Ian Trump? Think again), and eccentric spellings that lend themselves to mispronunciations. Others are more far-fetched, like considering your child's future email address. Frances Atkins may be a fine name, but beware the humiliation of fatkins@gmail.com. Turns out that naming one's baby is so fraught with potential mistakes that it doesn't necessarily end at birth. According to a recent study conducted by YourBabyDomainName.com, 8 percent of American parents regret their choice of name. The biggest reason? Thinking they've chosen something unique, only to find four other Madisons in their daughter's play group. So what does a parent with namer's remorse do? Increasingly, it seems, they simply change their child's name. The Huffington Post cites a family who started calling their daughter Isadora when she was four, because they'd found Sophie to be too popular. 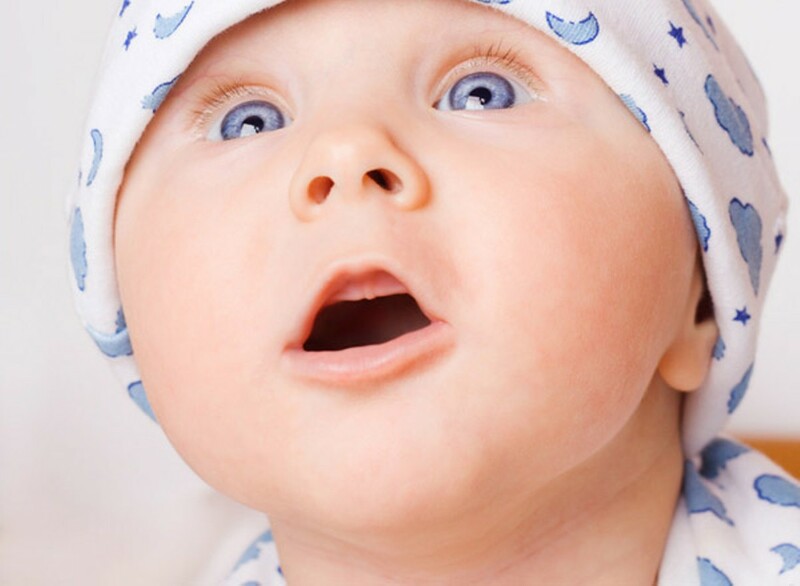 New parents, take heed: you might want to steer clear of Sophia and Aiden, the top baby name picks of 2011, followed closely by Emma and Isabella, Jackson and Mason. What about the kids? Children often decide to change their own names, parents' wishes be damned. In my first year of teaching, I met Hailey Getchell, a rambunctious, red-haired 14-year-old who loved writing about cats and hated sitting still. "As I got older, I met more and more people with my name," she told me recently, "and I started to feel much less unique." While changing one's first name might annoy parents, last name changes are fraught with deeper complications. Surnames are, after all, signifiers of our cultural and ethnic heritage, connecting us to a vast network of people with whom we share lore, genes, and possibly meals. By opting out of our surnames, are we opting out of our family identities? My husband and I are aware that rejecting Grossman could seem, to some, like a rejection of his father's father's heritage—instead of the far less meaningful rejection of its unfortunate word pairing. Because, let's be honest, when it comes to names, aesthetics are paramount. It's hard to imagine Anna Mae Bullock and Robert Zimmerman, the given names of two of the greatest rock stars of the 20th century, as anything other than Tina Turner and Bob Dylan. And doesn't Ernesto Lynch lack the romantic ring of Che Guevara? Years ago, Nikki and her husband C (yep, just the letter) went through a similar battle upon discovering they were expecting. C didn't feel connected to his last name, which was passed on to him by an adopted father whom he never saw after the age of two. So they decided to find a family name that they liked, "something that sounded 'like us,'" says Nikki. But trying to pick a name out of thin air proved harder than it seemed. "We had a huge list of possibilities," she tells me, "but then began to question if we really wanted a rootless name." Likewise, my bird-loving husband rejected Sparrow (thanks, Johnny Depp), Crow, Finch and a host of other thematically linked choices. Of course, there's always the option of combining syllables from both our last names—a tactic that, for us, yielded Durman and Mandur, nearly as unsavory as anagramming our last names, which turned up such gems as Drumongrass and Drugransoms. Nothing felt right. Until, like Nikki and C, we moved away from our fathers' names entirely and considered our matrilineal heritage. Nikki and C's decision to take his mother's maiden name, Chappelle, did initially incur some hurt feelings. "My husband's brothers were especially bothered," says Nikki, "since they too were adopted, kept the name, and in turn passed it on to their sons. But, as time passed, they got over it, and now no one even bats an eye." It turns out that Michael's mother's maiden name is Taylor—cute, unpretentious, easy to pronounce, virtually un-make-fun-able, and, yes, very normal. So far, this is the most promising lead on our ever-shortening quest. Of course, picking the name was only half the battle—now we've got to make it official. Not only does this involve filing a few innocuous forms with the county court clerk and attending a court hearing, but it also comes with a hefty $395 price tag. And, despite the fact that it's a wholly personal decision, we are required to publish an Order to Show Cause for Change of Name in a general circulation newspaper once a week for four consecutive weeks—so that anyone who opposes our decision has time to file a written objection. If all goes smoothly, we could be the Taylors by the end of February, just in time for our Leap Day due date. No matter what name we choose, ultimately our child will have to forge an identity all its own. And hey, given our example, should we be surprised when our 13-year-old decides to become Drum-on-grass Taylor someday? Winners of the 2012 NorBay Awards!